Village Properties Celebrates 17 Years! This month marks the 17th anniversary of Riskin Associates parent company, Village Properties! Co-founded by agents Renee Grubb and Ed Edick, the company has grown to over 150 agents across three offices, Montecito, Santa Barbara and Santa Ynez. Village Properties is proudly affiliated with Christie's International Real Estate and Luxury Portfolio, which extends the outreach of marketing efforts for the area's most distinctive properties and provides an elaborate network of agents who represent affluent buyers all over the world. To celebrate the incredible accomplishments and strides Village Properties has made in the industry, a fantastic soiree at Santa Barbara's elegant Canary Hotel was thrown. 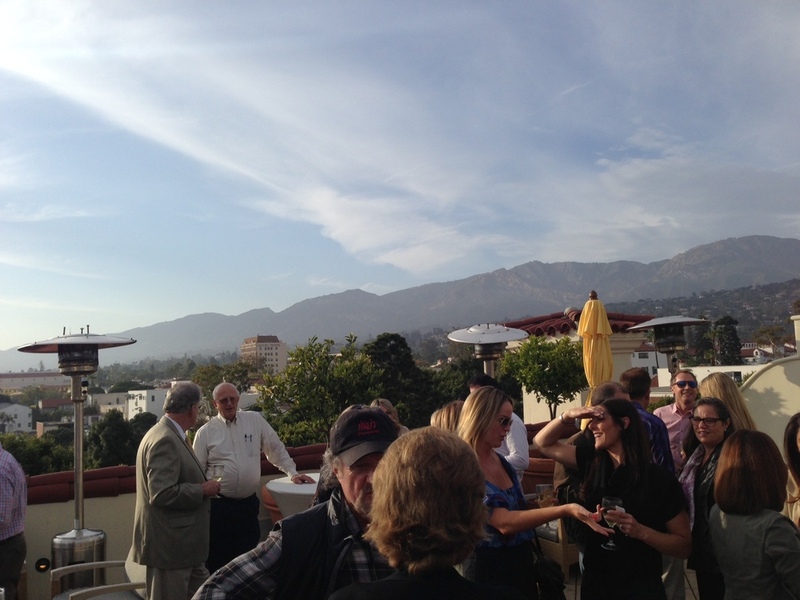 Agents and staff were invited to enjoy the beautiful Spring evening atop the Canary's beautiful rooftop terrace overlooking the sea and mountains while honoring their efforts over the past 17 years. After an incredibly successful year in 2012 and an energetic first few months of 2013, the Riskin Associates team was excited to attend and mingle with fellow agents and staff!